Blackberry 8800 Unboxing Photos | BlackBerry Blast! 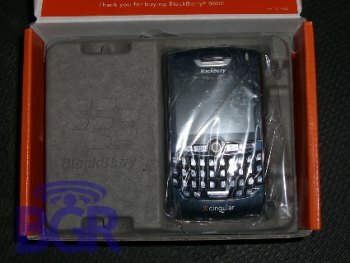 As expected, Cingular has begun shipping the new Blackberry 8800 to their retail stores. The Boy Genius has gotten his hands on one and has taken a series of unboxing photos. There has been so much coverage of the Blackberry 8800 that we all know the specs by now, but in case you missed it here's a brief run down.